Daily Debate: Would You Like to See the Oracle Games Return? With a current lack of portable Zelda (Breath of the Wild aside) I’ve been thinking back to the bygone age of the Gameboy Color, recalling both Oracle of Ages and Oracle of Seasons with warm fondness. The duo, originally intended as a trio, held different stories and featured unique items, intended to be played together and could be linked via cable or passwords. It was an interesting feature which allowed players to continue from one story to the next, rings the player found, which boosted stats or bestowed other unique abilities, could also be brought over. The pair were colorful and tremendously deep; a satchel of seeds that offered a wealth of uses, puzzles focused on either time travel or crafty season swapping, a wealth of whimsical side-quests and mini games. The duo I feel are incredibly underrated, contained some brilliant characters and features I wish we could see return, like Link’s companions, flying blue angel bear anybody? 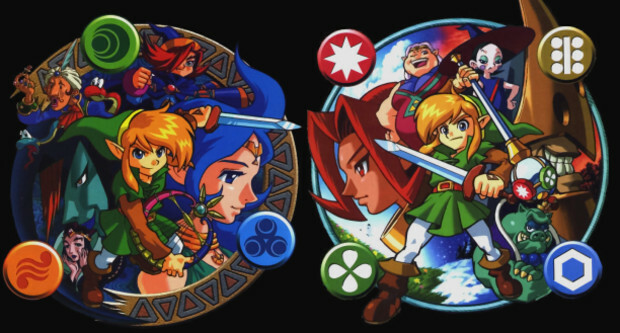 With a graphical overhaul and some unique additions, much like what was done with A Link Between Worlds, I would love to see a reimagining of the pair. Perhaps they could be condensed into one title? What do you guys think? Would you like to see the games return? Or would you rather a new title entirely? Let us know what you think in the comments below!